Do you feel like you want to do something big but don't know what and how? Are you afraid of what people will think about you when you fail? Do you stay up until late thinking why is it happening to you? Do you want to be in total control of your life? If yes, trust me, you are not alone. This is exactly how I used to feel back then. It took me some serious time to absolutely own my life, my mind and my thinking. But when I finally did, it felt so great that I no longer feel that someone else has any control over me. And in this book, I share with examples, the exact ways you need to look at things to reinvent and redesign your life. 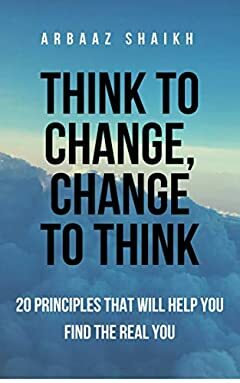 If you follow the 20 principles in this book, there is nothing that will ever be able to stop you from being successful. So don't think twice and scroll up to buy your copy TODAY!